Offer a recreational program that enhances a child’s coordination, strengths, social skills, self-discipline, and self-confidence, through the training of gymnastics. This should enhance the performance of all other sports and school too. Offer an environment for the children to learn gymnastics in the safest facility possible. Safety is accomplished through staff training as well as equipment and environmental safety features. Offer a Team Program that allows the boys and girls to achieve their highest possible ability level, without the overwhelming time and money requirements that many gymnasts face throughout their careers. Offer a program that accomplishes these goals in a safe, fun, positive, and educational manner. Birthday parties are normally 2 hours long. An hour and half of the time is spent out in the gym while the other 30 minutes are spent in the party room. The party can do open gym time, games or a mixture of both. They will have access to the entire main gym including the trampolines and pit. Our party room is used for food and present time. Please contact the gym to check avaliabilty and schedule your next party. Bring your kids into Jump N Play and they will jump for joy! Our fun-filled inflatables will keep your jumpers entertained for hours. We are a fun, safe, clean, and engaging environment for your jumpers; they will get great exercise, meet new friends and have the time of their life here. If they need a break, enjoy our arcade, where your jumpers can win tickets that are redeemable for valuable prizes. At Jump N Play, we allow all ages; parents can join your little jumpers by simply paying the low, low jumping fee and jump away! If you jumped so much that you worked up an appetite, no worries; you can order a famous Jump N Play pizza or sandwich. All of our menu items are made-to-order and will re-energize your jumpers. Do parents need to get some work done, but the kids keep demanding your attention? Come in and enjoy our free wifi while the kids jump the day away. Pottery painting at Kiln Creations is great way to celebrate your birthday with your friends and family! Parties are recommended for ages 5 and up. 8 or more child painters – $5 Studio Fee per painter + piece of pottery. The pottery pieces that the guests can choose to paint are selected prior to the party by the parents/host. Pottery pieces start at $4 and most of the popular party pottery pieces are priced between $10 and $20.​ Hosts are welcome to bring in food/cake, drinks, balloons & presents for the party. Party includes 1.5 Hours in our Private Party Room, personalized instructions, 8 paint colors, and glazing & firing of each piece. A $25 non-refundable party room fee and completed party contract are required a the time of booking. The Private Party Room is complimentary for groups of 8 or more. *** Groups of 7 or less are always welcome, the party can be held in the main studio and regular Studio Fee pricing applies. To book your party visit our website or call us at 317-774-8982. Looking for something a bit different for a birthday party? Peewinkle’s Puppet Studio at the Indiana State Museum is the place! You can purchase tickets to a scheduled show and let us know there is a birthday child, we will be sure to make him or her feel special. Want a bit more? Rent the studio after the show for your party. We provide a puppet workshop, you provide the refreshments. Still looking for something a bit more? How about a ‘Mini Camp’! Bring your child and friends to the puppet studio for a 2 hour camp (see a mini show, make a puppet and learn how to use it). Email Debbi at [email protected] with questions or to set up your party. In 1999, Rex and Janice Zenor, purchased the land that is now known to so many as Piney Acres Farm. Rex had always been fond of tree farms, but as the years passed it grew into a passion and a dream to bring his own tree farm to life – a Christmas tree farm to be exact! For the Zenors, it’s all about seeing families enjoy themselves and make memories that will last a lifetime. The 73 acre farm offers wide open space where families can connect and enjoy interactive hands-on farm fun in the fresh country air. Pinheads features Alley’s Alehouse our full service restaurant with a Tiki bar overlooking 4 sand volleyball courts, a banquet hall, arcade, and bowling. GET YOUR FUN ON… at the Largest Indoor and Outdoor Family Fun Park of its kind in Indiana! 11 ACRES OF FUN!! 2 Indoor Go-Kart tracks, 10 Lanes of Mini-Bowling, plus 2 Outdoor Go-Kart Tracks, 36 Holes of Miniature Golf, Bumper Boats, Large Family Gameroom, & 3 Large Birthday Party Areas! Searching the Indianapolis area for the best birthday party places? 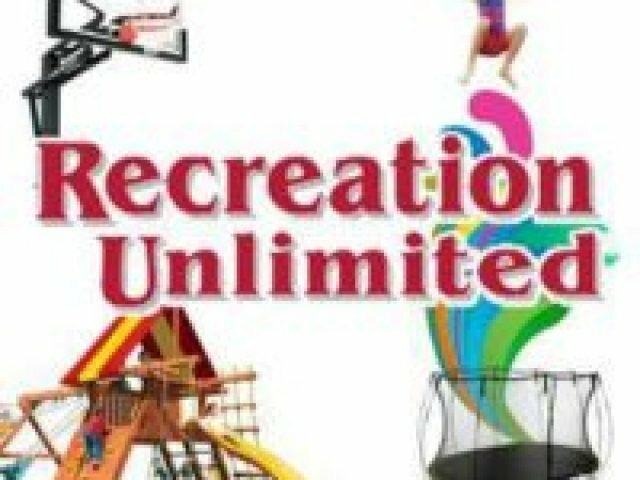 Look no further than Recreation Unlimited in Noblesville, IN! Throw your child the best birthday party ever by reserving one (or both!) of our 2 large party rooms. Your kids and their friends will experience the joy of being able to let loose and be…well, kids! You can reserve your party room online now or by calling (317) 773-3545.